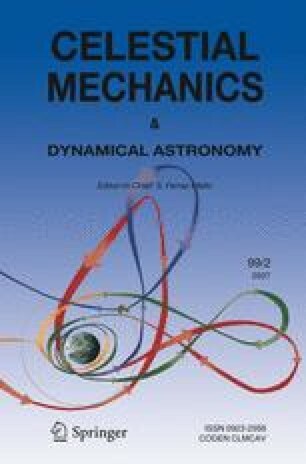 In this paper we consider the relative motion between satellites moving along near circular orbits in LEO. We are focussing upon the natural dynamics in order that we may then develop a design tool for choosing initial conditions for satellite orbits where the satellites will follow close to a chosen configuration with little control. The approach presented here is different to much of the other published work on this topic in that we start with analytic solutions of the absolute equations of motion rather than attempt to develop linearised equations of relative motion which we then solve. This geometric approach leads to a natural decomposition of the orbital motion into three components: the motion of a guiding centre that incorporates the secular evolution of the formation due to the even zonal harmonics; the periodic motion of the formation as an approximately solid body about this guiding centre; and the periodic motion of individual satellites within the formation. By separating the motion into these three components we are able to give a full description of the motion, but in a simple form avoiding much of the complexity in other formulations. We then use this model to find expressions for the motion of one satellite with respect to another within our formation. We present propagations of satellite orbits to fully evaluate the accuracy of our expressions, noting additions that may be made to the model to further increase accuracy.